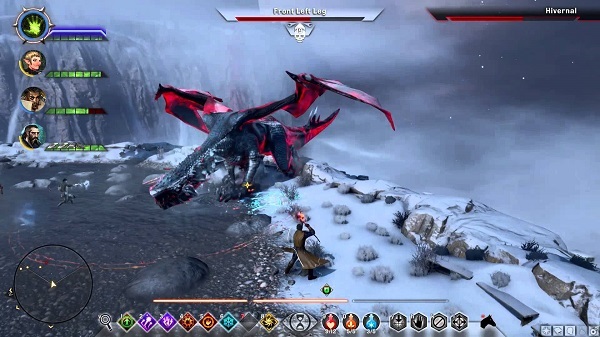 You don’t just have to collect gear, slay foes and complete quests in Dragon Age. You will also get to fight menacing Dragons. Along your campaign progression, you’ll be brought face to face with more than a few flying lizards. Slaying them will reward the player with exquisite loot and bragging rights in the form of achievements. Dragon Age Inquisition is an excellent RPG with a huge open world, tons of quests, a lot of drama. This fantastic universe is populated with creatures of Human, Dwarf, Elf, and Qunari descent. All these are followed by a beautifully-made campaign that spans over 100 hours. 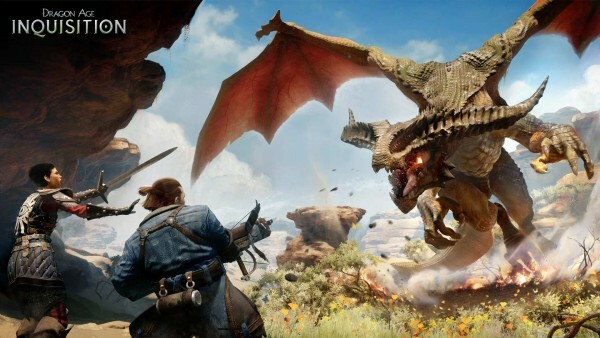 There are 10 dragons that you need to vanquish from the world of Thedas. There are from frost-spewing monsters to electrically-charged drakes. Some are hidden, while others are out in the open terrorizing anyone who dares enter their domain. Players need to explore the world of Thedas to find them- from the bleached white sands at one side of the world to the tempest riddled coasts on the other. 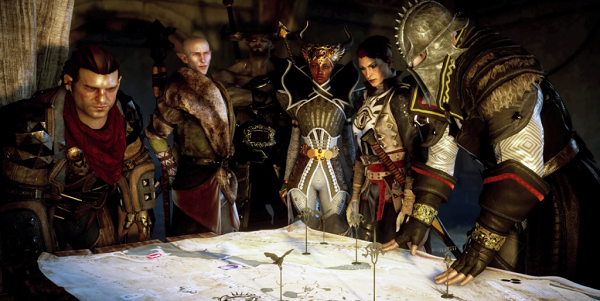 A Dragon Age Inquisition champion needs to prepare for the ordeal that awaits all players. 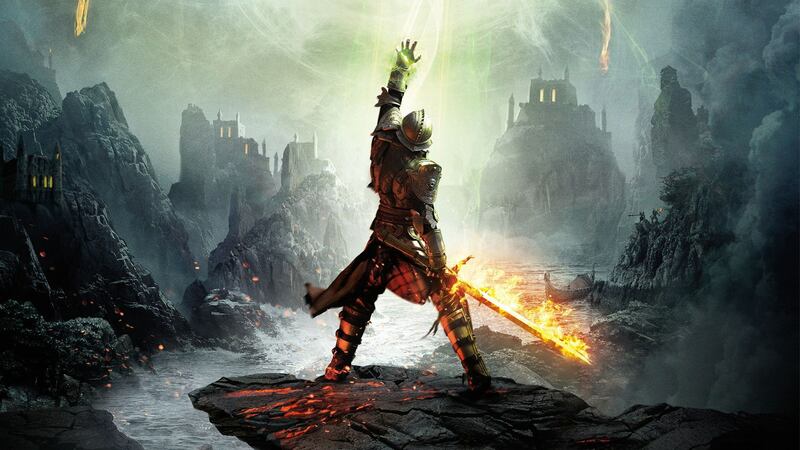 That’s why we at GameGuideWorld have decided to write a Dragon Age Inquisition Strategy Guide. We’ve got all the information you need to successfully slay High Dragons. 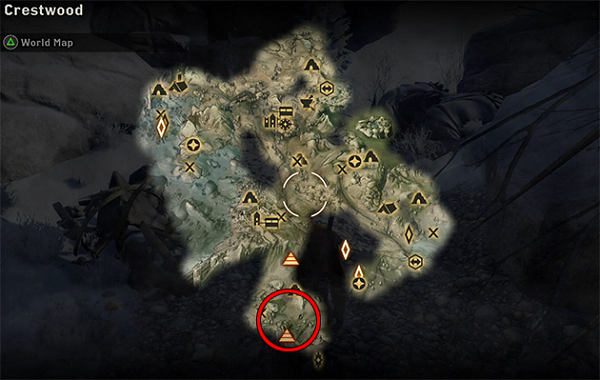 Here’s a quick list on where you can find Dragon Age dragons. Abyssal High Dragon – Western Approach. Gamordan Stormrider – Exalted Plains. Greater Mistral – Emerald Graves. Hivernal – Emprise du Lion. Sandy Howler High Dragon – Hissing Wastes. Kaltenzahn – Emprise du Lion. 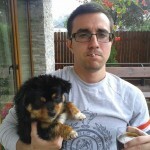 Highland Ravager – Emprise du Lion. I can’t stress this enough.Players from older games like Dragon Age titles, or TES: Skyrim thought that fighting dragons is all about attrition. If you pack enough potions and cover yourself with armour capable of taking a lot of punches (in our case, claws and molten fire) no dragon can ever withstand your might. However, BioWare understood that dragons are much more than that. So, they crafted unique monsters this time. Each has distinct attack patterns, different weaknesses. They are more than capable now of resisting potent attacks. Doing some research before going into battle will definitely help. Actually, it’s half the battle right there. More often than not, you’ll go in, start a dragon fight, and die in just a minute. Why? Because you didn’t pay attention to what type of drake you’re fighting. The basic rules are ancient. Cold will beat fire, fire will beat cold, and spirit will forever beat electricity. Get gear that has the correct resistance factor and weapons that are meant to hurt them, not just scratch their scales a little bit. 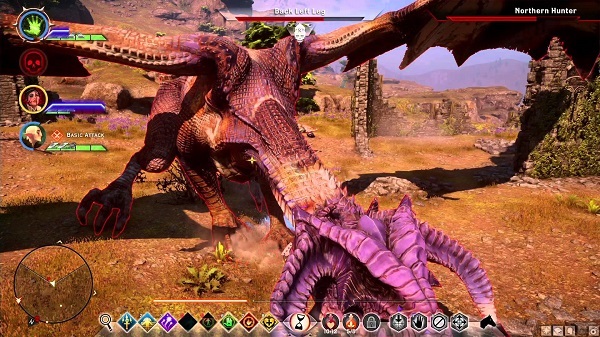 Also, BioWare devs introduced a feature that allows players to send their entire party to attack a single dragon limb. Remember, a crippled dragon is almost a dead dragon, so why not use it? Yet, not all of them will fall to the ground that easily. Knowing what you’ll face is half the battle. 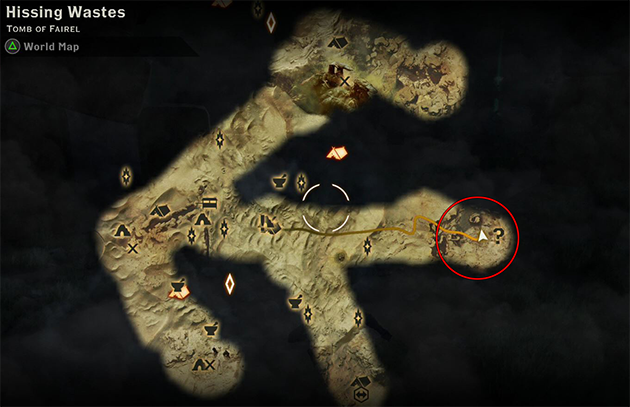 Our short Dragon Age Inquisition walkthrough will showcase what you need to know – strengths and weaknesses. You can find the Ferdelan Frostback Dragon in the Hinterlands. The Fereldan Frostback is a level 12 fire dragon. This dragon is the very first that you might encounter in the game. On the other hand, if you aren’t keen to explore, then you’ll miss it the first time around. He is located north of the Dusklight encampment. Travel via the bouldered passage that leads directly to the ashen and burnt Blood Cliffs. This is the easiest of the bunch, to be honest. Pack yourself and your party with Cold magical attacks. He doesn’t resist very well to melee attacks either. When you first encounter the Fereldan Frostback, he’ll do circles in the air while bombing smithereens. Simply avoid his fireballs and wait for him to land. Afterward, attack with all your might. When the dragon has 65% or so HP left, he’ll take to the skies once again. He’ll start spewing fireballs again. In this next phase, the Frostback will call some drakelings by his side. Focus them quickly, but keep your tank on the main High Dragon. This way, the beast won’t shift attention to your primary damage dealer. When the dragon gets close to death, it is expected to take to the sky once again. This time, however, he won’t land near you, but he’ll go to his resting point. You and your party need to make way to the summit and deliver the killing blow. Don’t forget to collect your well-deserved reward and all the Obsidian on the way out. You can find the Northern Hunter in Crestwood. The Northern Hunter is a level 13 electricity drake. This flying lizard can be unlocked only after the player finishes a certain main and side quests. After finishing the Still Waters quest, which requires you to drain the lake, you’ll gain access to the monster’s location. You’ll find the drake to the south of the Dam. This dragon is vulnerable to Spirit attacks, so you need to build some resistance – gear, pots, whatever you fancy. Remove every, if any, electricity buffs you have on your weapons or armour. Considering that this Hunter is an electricity-charged dragon, it’s best to bring Vivienne into the battle. She is a powerful Spirit damage dealer. Vivienne can also supply the entire party with Barriers. Moreover, consider changing her specs in order to allow a high Mana regen and a quick Barrier refill with every damage dealt. Vivienne can wholeheartedly tank the dragon by herself. Stay clear of the Northern Hunter’s head and you’re set to kill it. You can find the Abyssal High Dragon in the Western Approach. The Abyssal High Dragon is a level 14 fire monster. This fiend resembles the first challenging battle of the inquisition dragons. But, before you can start the event, there is a quest line you first need to complete for Frederic. This character can be found in the Nazaire’s Pass Camp to the south of the region. You need to complete the following quests. How to Lure a Dragon. A Manuscript of Some Authority. 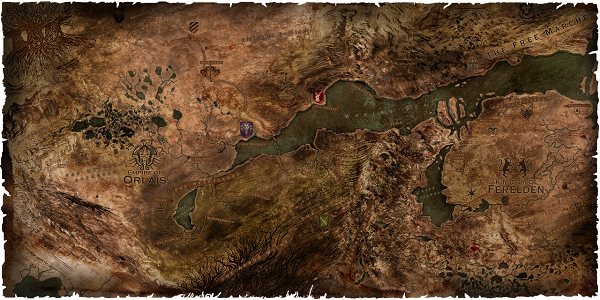 Once these quests are finished, and all of the dragon traps are set, you can travel to the south of the map – The Wastes and prepare for the Abyssal High Dragon. Your party needs to be comprised of two mages and two warriors. Why? Well, because you’ll need to target limbs most of the time. Huge magic damage is a must along with magic specific abilities. Regardless if you, the inquisitor, are part of the party, that’s how your team should look for this event. 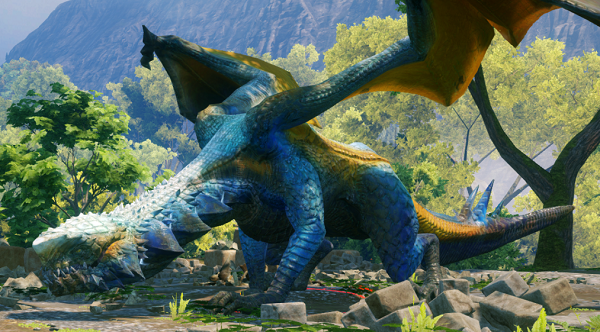 Focus the dragon’s front limbs so you hinder its ability to kill your team with one hit. This leads to imparing most of its mobility, along with opening a new way to deal more damage. Fire dragons are vulnerable to Cold. Keep this in mind when you build your mage’s talent trees. The Abyssal High Dragon can generate Guard, and, of course, can breath fire. If you have enough Cold res and Cold buffed weapons, these won’t pose as a huge annoyance. However, this drake does wing attacks totally at random. These unpredictable attacks can blow away a huge chunk of HP out of your party members. This happens because it creates a ring of damage. Think of it as an area of effect damage. Position your melee champions inside the zone. However, be careful to stay away from the drake’s tail. Also, your ranged damage dealers should, obviously, stay outside. You can find the Gamordan Stormrider dragon in the Exalted Plains. The Gamordan Stormrider is a level 15 electricity dragon. Before players can start this drake battle, they first need to complete a few actions. The following operation, and all the quests that come with it, must be completed. For further reference, operations can be accessed via the War Table. After this is completed, you’ll be granted access to the Crow Fens area. An Operation marker can be found south of the Fens Camp district. 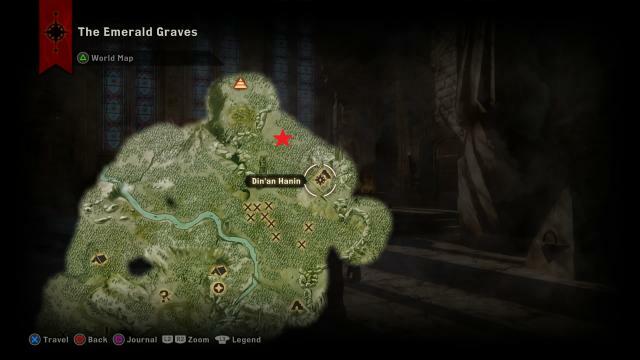 This opens up access to Ghilan’nain’s Grove – also, from the War Table. Just head eastwards, to the N of the Fens Camp to battle the Gamordan Stormrider dragon. You’ve battled an electricity dragon before, but not like this one. Overwhelming the drake with Spirit damage is the way to go. You still need to take into consideration other factors, like the arena in which you fight the dragon. You see, it’s covered in water – short rivers and shallow puddles. The dragon’s electric attacks are even more powerful when they get in contact with water. This means that your fighters will be vulnerable – and the Gamordan Stormrider knows this very well. You’ll need to micro-manage your party like never before – a lot of pauses will be in place. Pay attention that your team members are always on dry land, and that they are always avoiding attacks. Your Mages and Rogues should stick to their range abilities for an added measure of safety. Pay attention to the last phase of the game because if not, it could mean a boss wipe – and you don’t want that, do you? Just before the Gamordan Stormrider meets his death, he’ll fly away and disappear for a short period of time. You have to remain vigilent. Upon return, he’ll attack with a ball of electricity that will basically immobilize your party (read: stun) which the drake will accompany with a fatal bomb. This can kill all of your party if you don’t pay enough attention. You can find the Greater Mistral Dragon in the Emerald Graves. The Greater Mistral is a level 17 cold dragon. The Emerald Graves are unlocked once the player completes the Make Contact Mission. This quest can be started from the War Table. However, the Greater Mistral drake is a tough SOB. You can’t kill him just by ordering fire attacks. Keep this in mind because it’s super important. During battle, the Mistral dragon will try to drive away your fighters by breathing ice onto them. Try avoiding this. Seriously, try your best to avoid the breath of ice. Also, the dragon heavily relies on wing attacks which deal major damage to anyone in range. Depending on your disposition, you either focus on effective and powerful ranged Fire attacks or potent melee damage performed by your warriors. The Mistral has a regenerating Guard, but it can be easily dealt with if you use quick Fire attacks. The Greater Mistral drake will take to the skies more than once, so you need to track it as best as you can. It circles the sky and it fires bombs. You can avoid them as long as you and your party keep moving across the arena. There are several locations where you can go for cover. During the last phase of the battle, when the the monster is near his demise, the dragon will stay longer in the air. Don’t worry, he’ll eventually land. Just keep your party hidden beneath cover and wait for it to land so you can deliver the killing blow. You can find the Hivernal Dragon in the Emprise du Lion. The Hivernal is a level 19 cold dragon. The Hivernal is one of the three dragon battles that can be started in the Emprise du Lion area. In order to gain access to his arena, you first need to do some side quests. Keep in mind, you need to start the Breeding Ground quest as soon as it’s available. 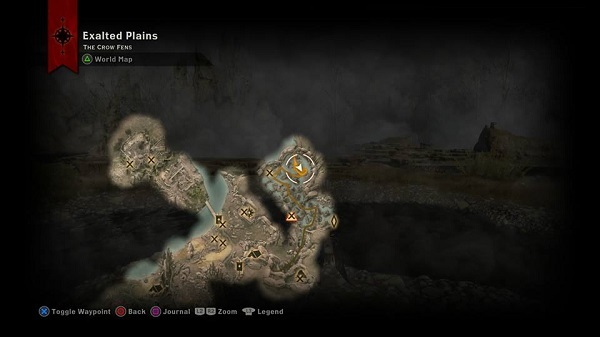 On the left side of the map, as in East, you’ll find a massive ravine. 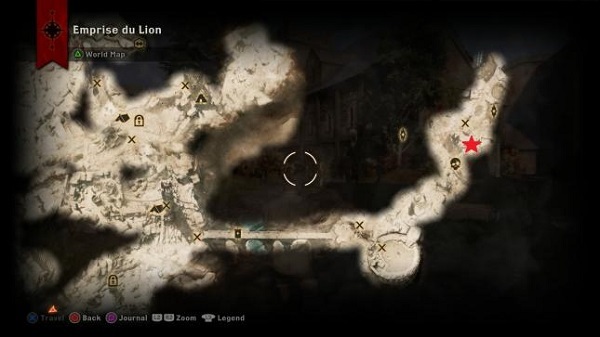 By following it, you’ll reach south to the Tower Camp. Start the Restore Judicael’s Crossing from the War Table to rebuild the broken bridge. This is located at the east of the camp. Afterward, you can start the Hivernal Dragon battle. Don’t start the fight before level 19. Once you did this, you are ready to battle. Go up the staircase at the bridge’s far right side and eventually you’ll see a blue dragon. That’s the Hivernal. Don’t think that just because it’s way smaller than former dragons it will be an easy fight. As a matter of fact, it’s one of the toughest glacial drakes you’ll ever fight. The Hivernal is more mobile than the previous ones (the Mistral). It has the same attacks – ice breath, circling attacks, fireballs and dives. You should avoid attacks when the drake’s flying around. The Hivernal, like some other dragons in Dragon Age 3, has a special attack that pulls characters close to it – a wing vortex-like action that should be countered as soon as possible. You can do so by immediately attacking the dragon once it starts flapping it wings. Don’t try to use any ranged attacks because they can’t penetrate the wall of wind. When the Hivernal reaches 50% of HP, you need to pay close attention to its back legs. When the dragon backs away, rearing on his legs, it means that he’s about to slam the ground. This action will also freeze anyone close in range. The Hivernal will then commence with melee swipes. 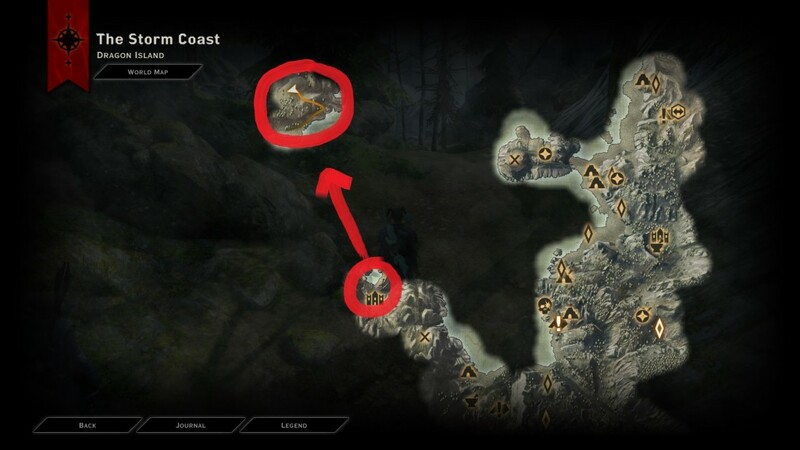 You can find the Vinsomer Dragon on the Storm Coast. The Vinsomer is a level 19 electricity dragon. The Vinsomer is not a beast to be trifled with. You need to be fully prepared for this battle. Pack in spirit damage dealers and a lot of patience. You’ll wipe more often than you care to admit you will. 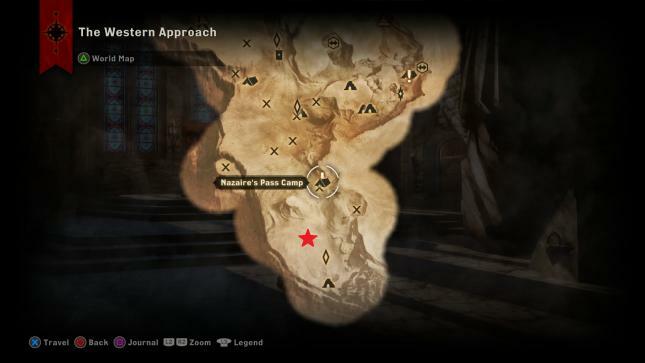 To unlock the Vinsomer flying lizard event, you first need to unlock and complete the Red Templars mission from the War Table. You might have seen the Vinsomer in the past flying across the Storm Coast. On occasion, it was fighting a Giant on the beach. Going to battle with it means that players should take a rowboat across the waters to the Dragon infested island. The Vinsomer is the 2.0 version of the Northern Hunter. Get back in touch with Vivienne and her awesome Spirit powers and you’re set to go. Some tips – your ranged characters should be positioned on Vinsomer’s sides, flanking the creature in order to avoid its electric attacks. You can find the Sandy Howler High Dragon in the Hissing Wastes. The Sandy Howler is a level 20 fire dragon. I can’t stress this enough – the Sandy Howler is infuriatingly hard. Given that you will find it sleeping should be interpreted as a major warning. BioWare didn’t offer a free sucker-punch if they thought players don’t need it. Make it count! 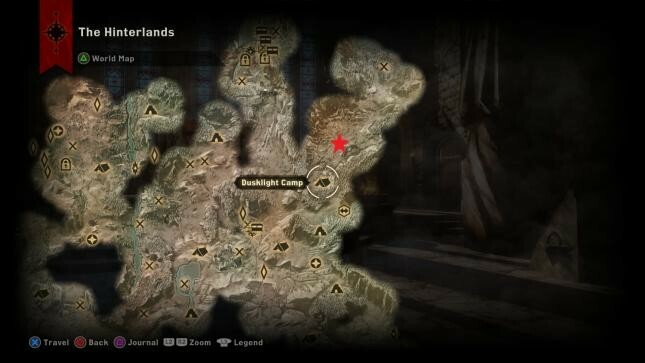 The beast can be found east of Cove Camp, in the Hissing Wastes. It obliterates everything once it’s wake with a potent fire breath. It also regenerates its Guard at an alarming rate. Fire res armour and Cold infused weapons are a must. The Howler is fast. He’s evil and downright rude at times. When the creature reaches half of his HP, he’ll let a terrifying howl loose. This stuns the entire party for a short duration and calls backup at the same time. Don’t fight the dragon at night because spotting his dragonglings is somewhat hard. Either way, they don’t pose a serious threat. You can actually finish them in a matter of minutes. Focus limbs and attack with all party members at once. He is most vulnerable when he’s flapping his wings. Equip of your team members with Barriers so ranged attacks bounce right off. You can find the Kaltenzahn Dragon in the Emprise du Lion. The Kaltenzahn is a level 21 cold dragon. This creature can be found to the northeast of the arena where you previously fought the Hivernal. It quickly generates Guard, and its ice breath leaves a slowing AOE across the land. It has vortex-attacks that pull in characters in range to beat them up. 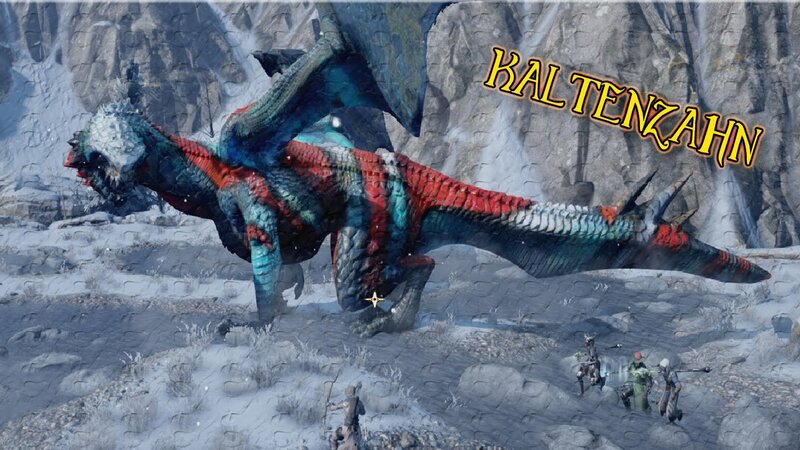 Warriors will shine in the Kaltenzahn Dragon battle as they can withstand his powerful attacks the best. His tiresome strength is even more visible when the drake takes to the skies to launch ice bombs. However, it’s just a matter of time until it drops dead. He isn’t that tough to tackle. When you bring him to almost 50 percent health, he’ll flee and call in drakelings to aid him in battle. Vanquish them while avoiding the dragon’s bombs. Eventually, the Kaltenzahn dragon will land upon a large wall and begin to bomb the arena again. He’ll stun the party, call in more backup and regenerate his Guard faster. You can find the Highland Ravager Dragon in the Emprise du Lion. The Highland Ravager is a level 23 fire dragon. 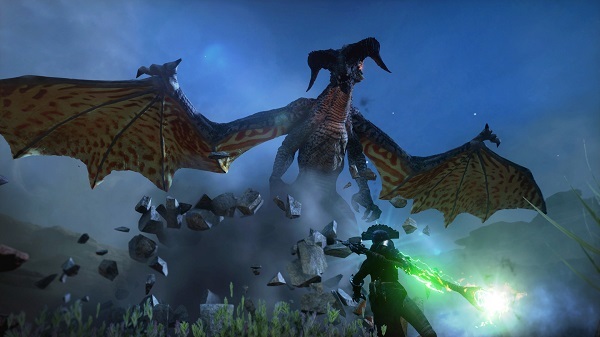 The Highland Ravager is the final dragon you’ll battle in Dragon Age Inquisition. 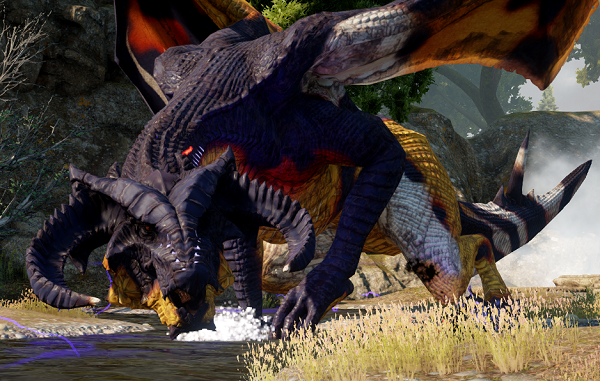 He is the most powerful creature in all of Thedas of dragon descent of course. The Ravager is a fire breathing dragon. This means that cold attacks are a must . If you want, you can even mix it up with some electricity. One thing is for sure. Without fire resistant armour, you won’t stand a chance. Also, I highly recommend you are level 23 if you want to battle the Highland Ravager. This drake will be sleeping when you find him in the farthest northeastern area of the Emprise du Lion. Make your first attack attempt count, because when the dragon wakes up, you’ll curse all the Gods and all the planets. Yup, he’s that though. This means that you need a potent Warrior to tank it. Other melee warriors need to be protected with shields and barriers in order to withstand the never-ending flow of damage coming from the drake. Whenever you can, try to avoid the fire breath. It deals a ton of damage that will leave your champions weakened. This could lead to a wipe, so be on the edge from the get-go to the battle’s end. When you notice a ring of fire on the ground, quickly move away. This means that the dragon will perform a slam that will chunk out a massive amount of HP from your party members caught in its AOE. As you might have expected by now, the Ravager will call in for backup. While he does so, he will put up his guard back up. As the fight goes on, the Ravager will get meaner and more powerful. He’ll recharge his Guard every minute or so, stun the party, and call in for more Dragonlings. This fight separates the true Dragon Hunters from the casual gamers. It’s no shame in failing countless of times. This is a terrible challenging fight. Don’t lose hope, level up, and try different tactics, depending on your party build. 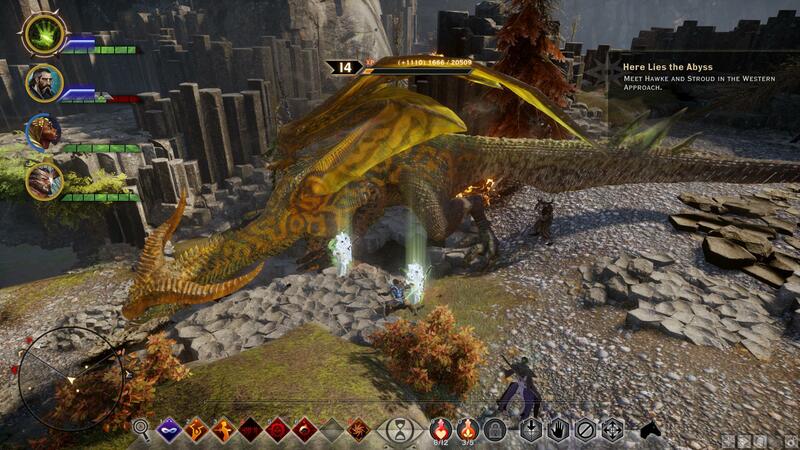 And with the Highland Ravager Dragon, we conclude our Dragon Age Inquisition Strategy Guide. Hope it helped! 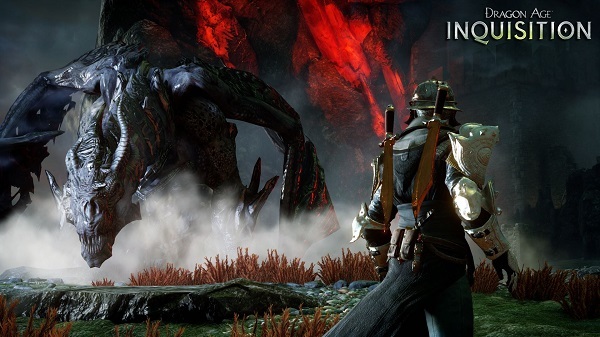 Dragon Age Inquisition usually goes for $19.99 for the standard edition. Yet, there are a ton of deals for the GOTY edition, so you better check our Game Deals Page for Dragon Age Inquisition Deals. 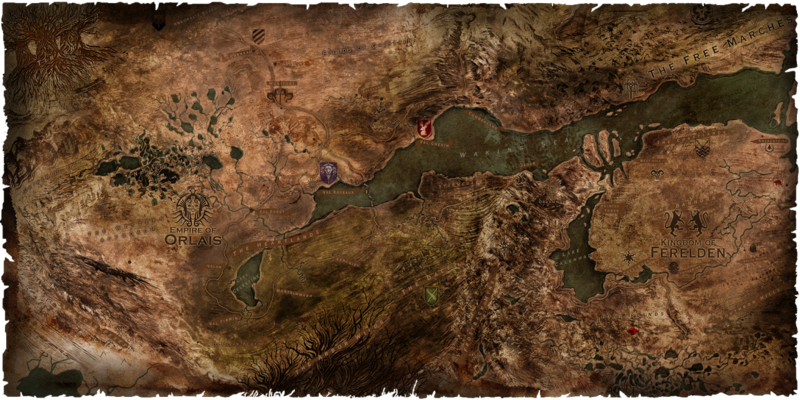 Below you can find the entire Dragon Age World Map. 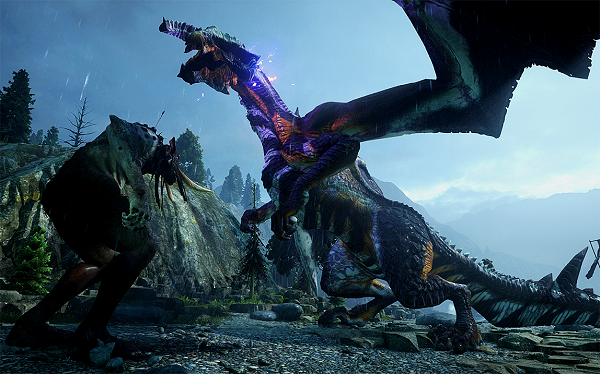 Dragon Age Inquisition has been released on the 11th of November 2014. It is available on PlayStation 4, Xbox One, PlayStation 3 and Xbox 360.